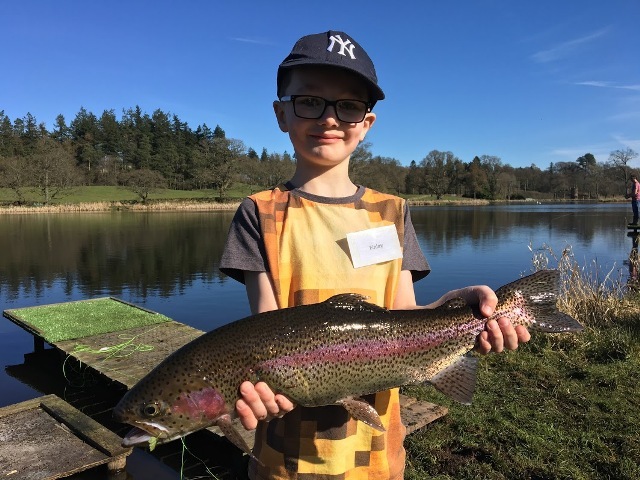 It was a great turnout with a good crowd of local youngsters to try their hand at fly fishing on a still water for trout at Drum Loch on the 25th March. 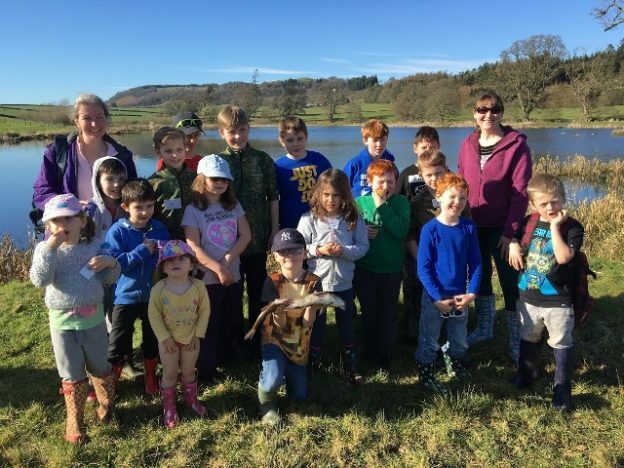 It was the second programme on a list of many aspects of angling that members of the Nith Young Anglers Club which is headed up by Debbie Parke of the Nith Catchment Fishery Trust were to have a go at along with Borderlines having already done some grayling fishing in February. Derek Kelly showing them the ropes. The weather was fine and there were certainly plenty of fish showing on the surface on such a nice day. Looking confident and ready to go! 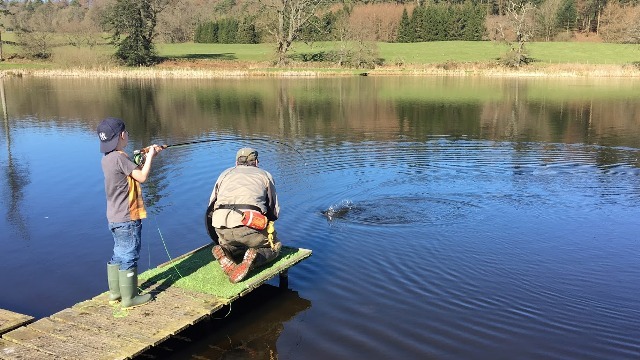 It was not long before one youngster Finlay was into his first ever fish, Clive looking anxiously on hoping it would stick! A fine rainbow trout nearly as big as he was! 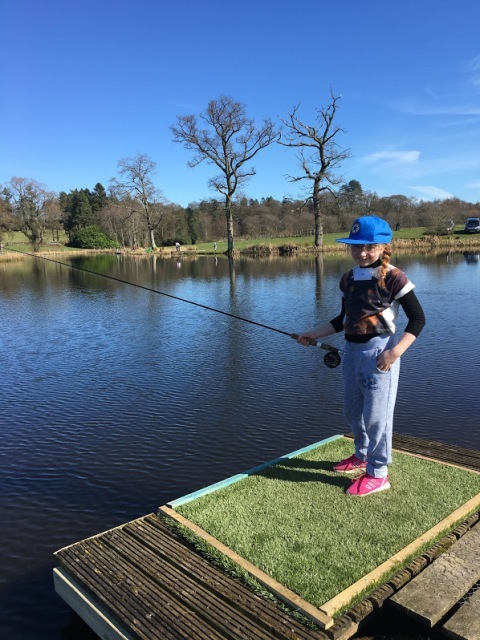 A great day on the water with great youngsters and great weather, what a fantastic opportunity to get outdoors and into fishing! 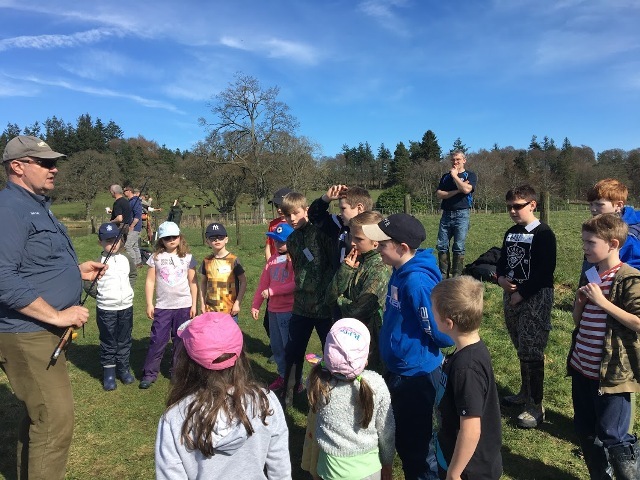 This entry was posted in Borderlines, education, environment, fly fishing, River Nith, Scotland, youth and tagged Borderlines, education, environment, family, Fly fishing, outdoors, youth on 5th April 2017 by Glyn Freeman.